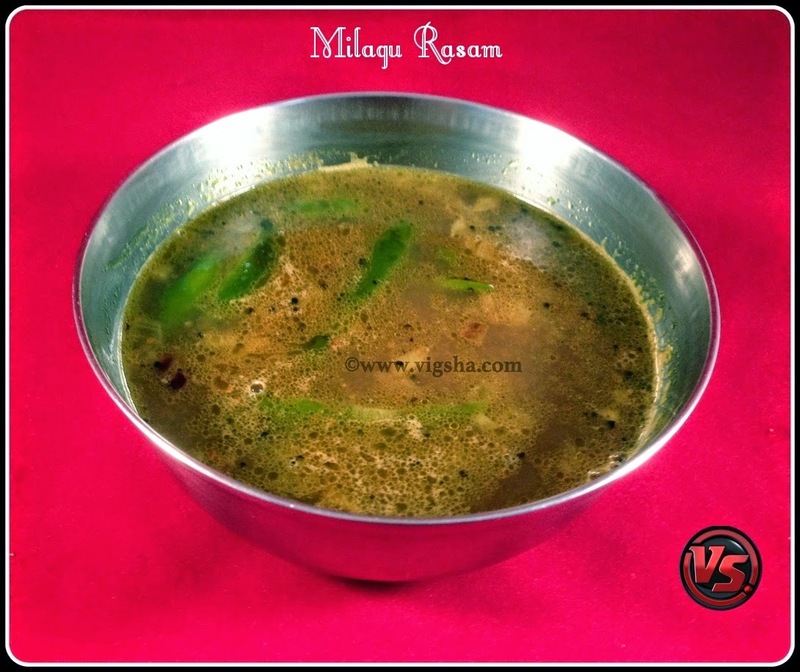 Milagu | Pepper Rasam aids digestion and best suits during winters. This rasam is a very good remedy for cold and sore throat. You can have this rasam along with steamed rice or just like soup. Pepper is loaded with health benefits. 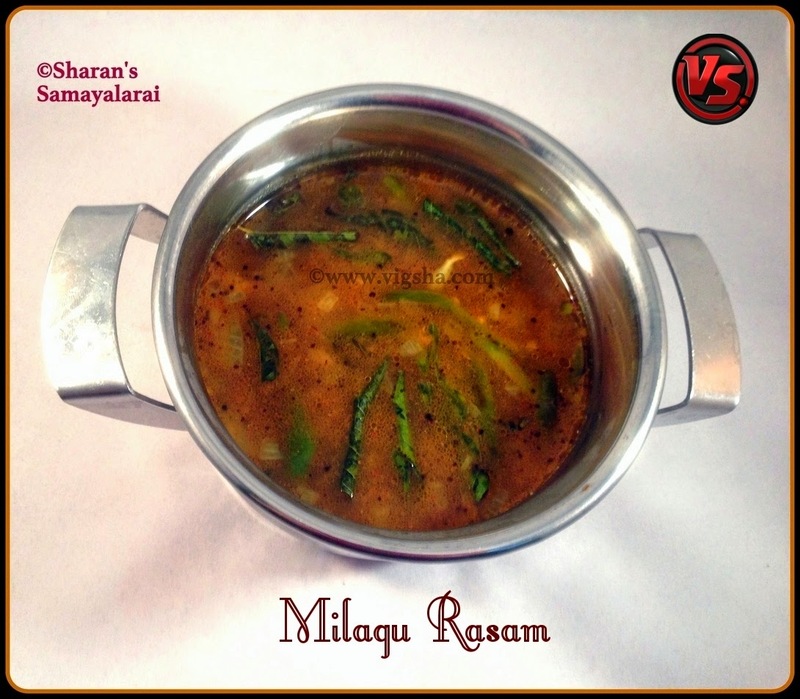 There are so many versions of preparing this rasam, I am posting my mom's version today. Check out my other Rasam recipes which I have already posted :- Kollu Rasam, Pachai Payiru Rasam, Toordal Rasam, Tomato Rasam. 1). Heat ghee or oil in a pan, add mustard and let it splutter. Then add onions, green chillies, hing, curry leaves and crushed garlic. Saute till onions turn translucent. 2). Soak tamarind in warm water and extract juice. Add this extract to the sauteed ingredients and mix well. Then add a tsp of rasam powder and let it boil. 3). Let the rasam boil until the raw smell of tamarind goes and becomes frothy. Switch off ! Serve hot with steamed rice, dollop of ghee and Poriyal. # Do not let it boil for long time, switch it off as soon as it becomes frothy. # Adding ghee for seasoning, adds flavor to the rasam. However, if you are health conscious you can substitute it with cooking oil. # As pepper is heat inducing spice, I have used ghee for seasoning. When both combined together makes a perfect combo.